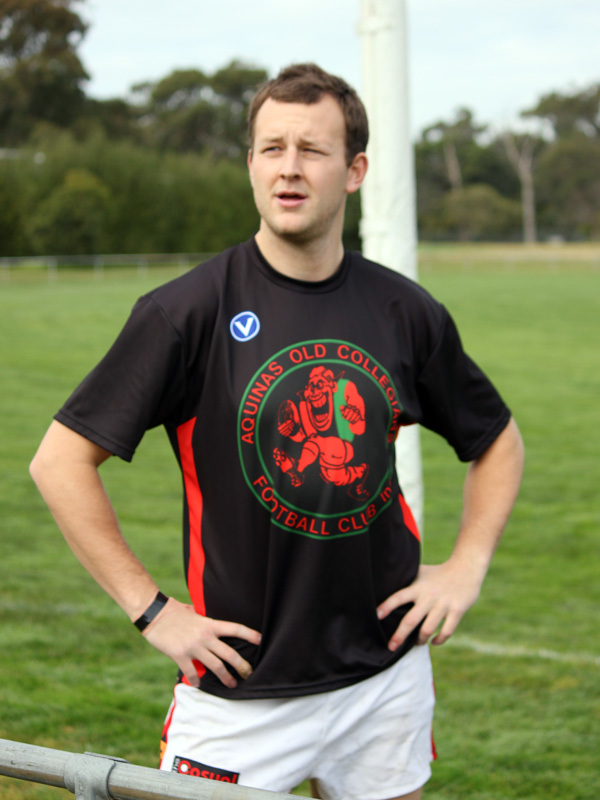 We recently did some training tops for the Aquinas Old Collegian Football Club. After mainly showing pictures of ladies cycle teams and riders lately, thought a couple of pic’s of real footy players is what is needed. To have a bit of balance you could say. Well here they are, I like the pose in first picture.